I want to share something really simple that just might transform your experience of your next meal. I call it The First Bite Experience. It’s that burst of taste and pleasure that comes across most strongly from the first bite of food but that we are often too distracted to truly notice. And when we don’t really notice that first bite or any bite after it, our body doesn’t actually register that it has been fed, and starts asking for MORE food, or craves something sweet after the meal. So one way to avoid overeating or cravings is to simply start by really being present for that first bite of food. To really take the time to savour that first bite. Make sure you are sitting down. Close your eyes if you want. Put a mouthful of food in your mouth. Fully taste it. Do you like the taste? Do you enjoy the crunch or smoothness of the food? Can you taste all the ingredients in it? Try to give this first bite your full, undivided attention as if you were tasting this food for the first time. There is no right or wrong way to do this – simply pay attention. You do not need to eat the whole meal like this – simply try to remember to bring your full attention to that crucial first bite. Even if you are eating with other people, you can still be attentive to the first bite you take – although you might not want to close your eyes for it! I would love to hear your experience if you try it – please comment below! 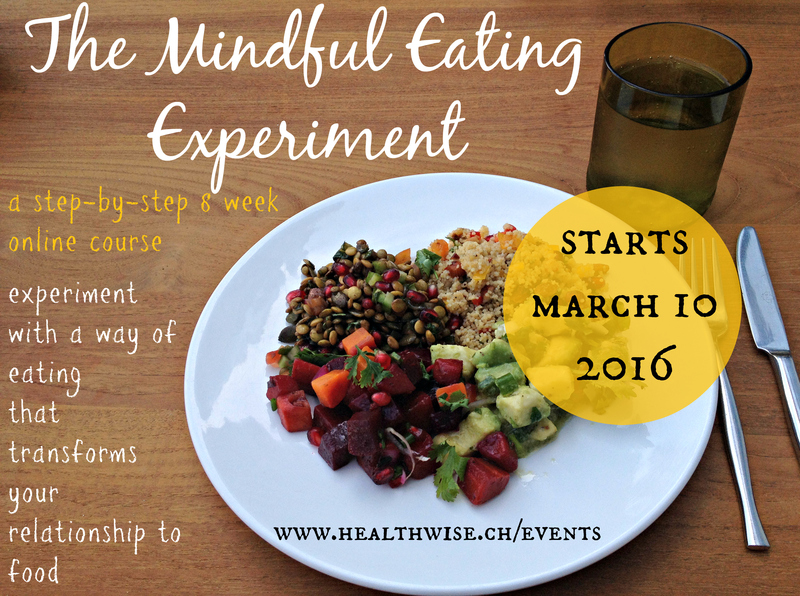 And if you would like more simple, actionable steps to more mindful eating like this one, check out my online Mindful Eating Experiment! 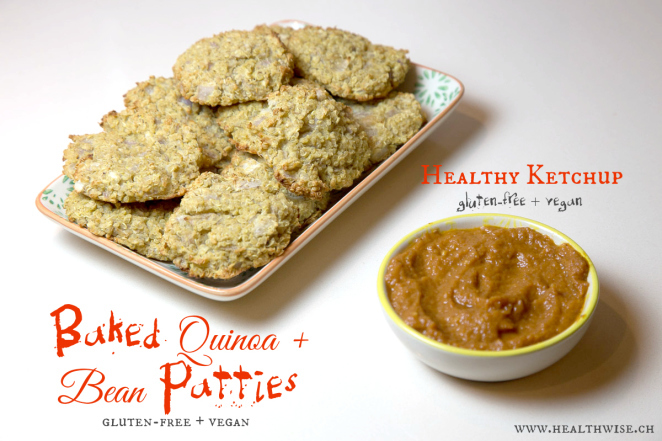 This is the perfect recipe to try the First Bite Experience with because sweet potatoes, when you really taste them, have a very satisfying sweet taste. 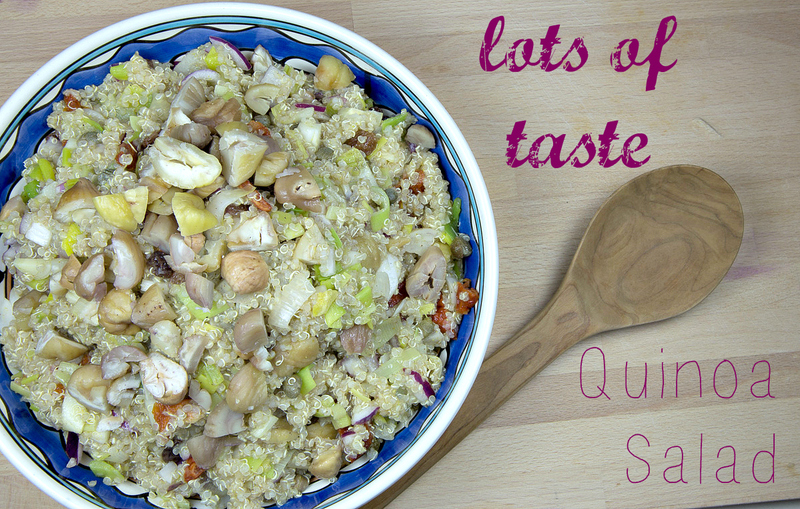 The combination of tastes and textures in this recipe is also incredibly interesting to the tastebuds, particularly due to the umami combo of garlic / onion / Feta / olives. If you lightly toast the pumpkin seeds, this also makes them more umami and lends a more enticing texture. Green vegetable of your choice – here I added some steamed broccoli as a side to make a more complete meal but you can also add a handful of spinach leaves or chopped kale at the end and simply stir through to wilt the leaves slightly. Preheat oven to 200°C. Place on a baking sheet in the oven and roast for 30-45 minutes, depending on the size of the potato. You will know it’s done when a knife or fork can easily pierce the skin and the center is soft. You can make more in quantity and leave them to cool, then wrap them in the baking sheet and put them in the fridge to use over up to 3 days. 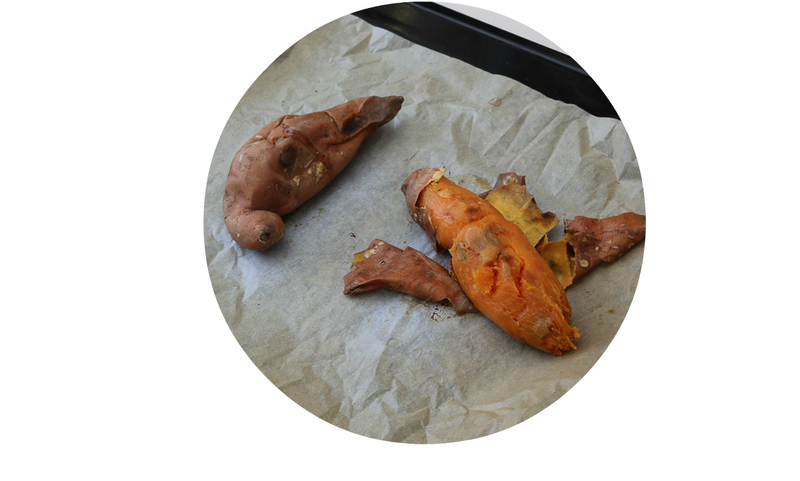 Peel sweet potatoes and cut them into small cubes. Heat the oil in a pan over medium heat and add the turmeric, garlic and onion. Add the sweet potato and heat through for 2-3 minutes, stirring constantly to coat the potatoes with the onion, garlic and turmeric. 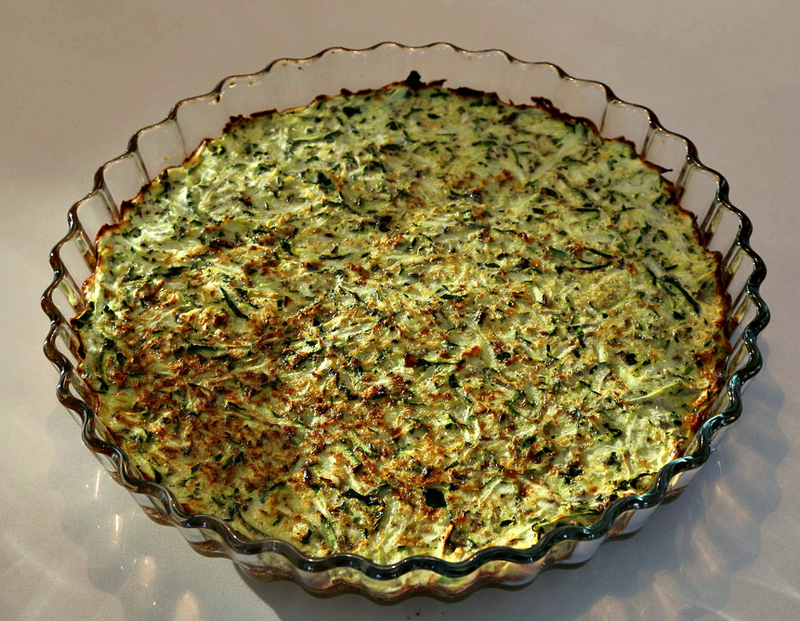 Add the Feta or olives and green leafy vegetable if you are using and stir until the mixture is heated through. Turn off the heat and season with freshly ground pepper and a little salt. Add the parsley or coriander and sprinkle with pumpkin seeds. 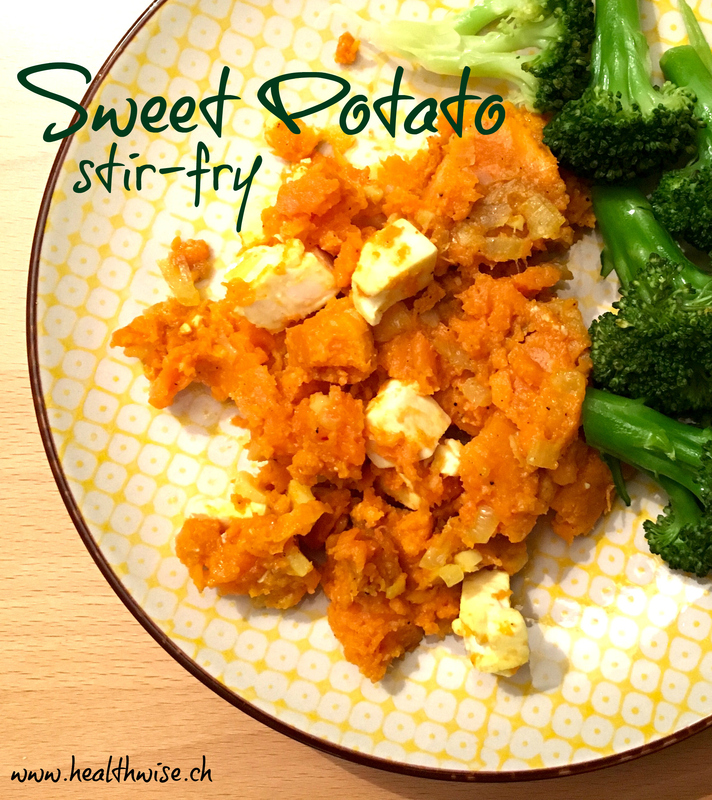 You can serve this dish immediately with the sweet potato still warm or you can serve it cold. 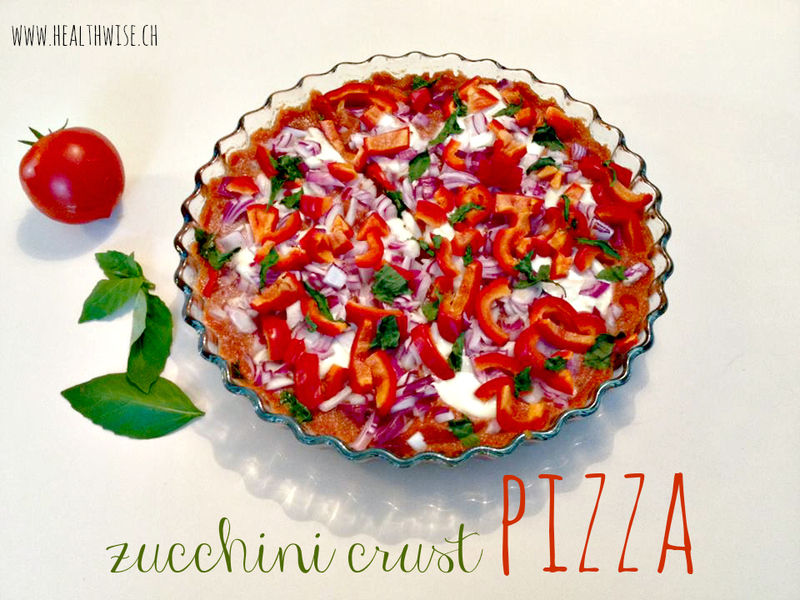 It works well for picnics in summer. You know the feeling. You’ve just eaten a full meal but you feel there’s something missing. You might be physically full but you’re not satisfied. In an effort to stimulate your taste buds, you seek out something sweet or salty to get that hit you didn’t have in your bland meal. Next time, try adding more umami-rich foods to your meal. Umami elevates the taste intensity of a dish. It’s your regular meal, on steroids. It adds flavor to an otherwise banal dish. And this is super important because taking full pleasure in what you are eating actually increases nutrient absorption in the body while stopping you from overeating or having cravings later on. As you might already know, our tongues have taste buds that detect the following tastes: Sweet, salty, bitter and sour. The Japanese have always known this, but we also have a fifth set of taste buds for the taste of savory or umami. Umami comes from Japanese and means “pleasant savory taste”. 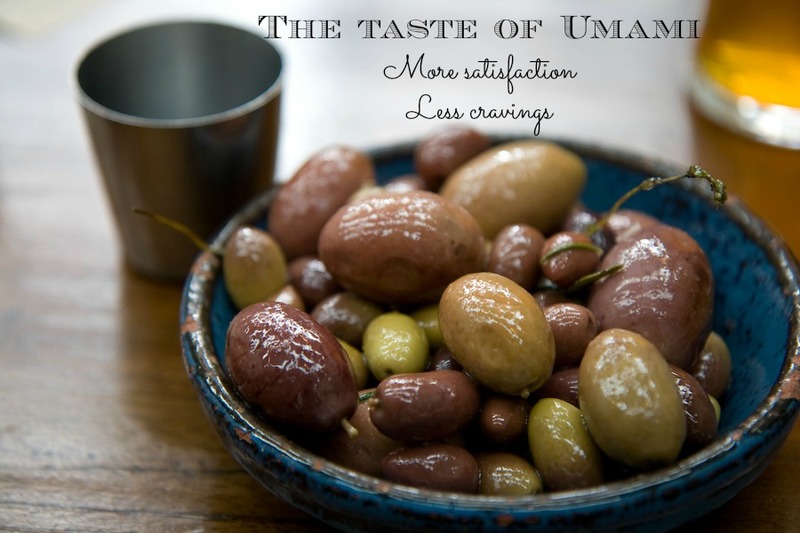 Umami foods all have a warm, earthy, deeply satisfying taste. Chemically, these foods all contain an amino acid called glutamate which provides the distinctive umami taste. The man-made imitation of this is a chemical called monosodium glutamate (MSG) which the food industry adds to Asian food, soups, chips etc. to enhance flavor and increase their appeal. Stock cubes like Maggi cubes also use this principle to add taste but again, at the cost of putting an artificial man-made chemical into your body with potentially toxic side-effects. So here’s my solution: Leverage the power of naturally umami-rich foods to add big taste to your dishes. As humans, we are hard-wired to love the taste of umami. Human breast milk is naturally rich in umami and babies already show a taste preference for sweet and umami-rich foods in their first months of life. It might also be a way of pointing us towards easy to digest protein-rich sources of food since umami is naturally found in proteins that have been partially broken down such as aged cheese, cured meats or soy sauce. Adding more umami to your meals brings that taste that leaves us satisfied and without cravings after a meal. ♦ Combine both red wine and balsamic vinegar in your favorite vinaigrette dressing. ♦ Use soy or tamari sauce to add flavor and saltiness to soup, add taste to a meat or poultry marinade, or to vegetables. ♦ Add mushroom to soups, stews and sauces. 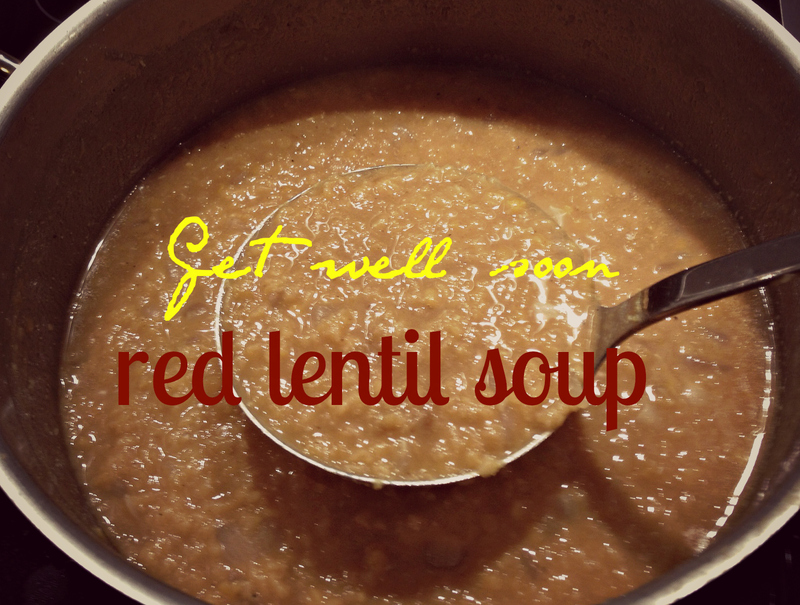 ♦ Add fresh or dried seaweed to soups, stews and sauces. 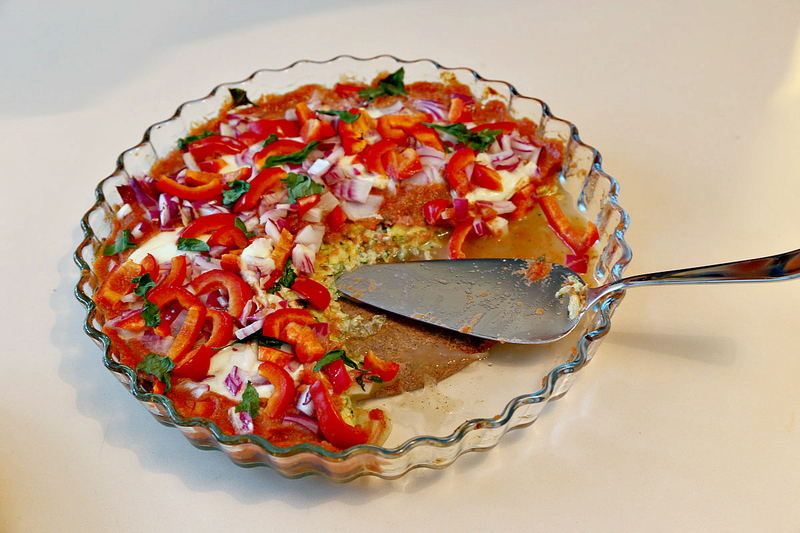 ♦ Add nutritional yeast to anything. 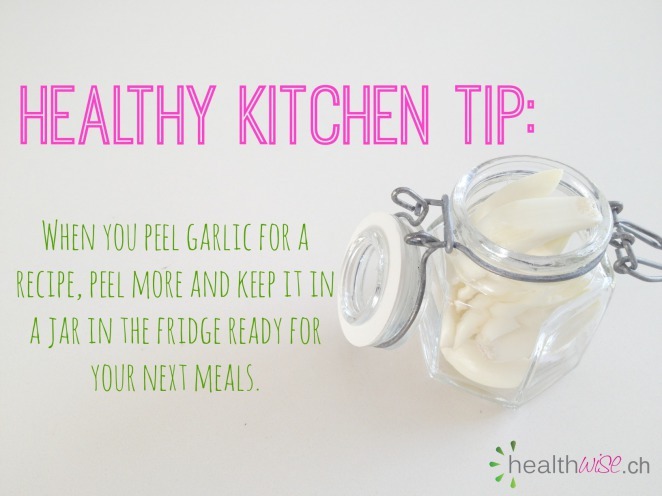 ♦ Sprinkle grated Parmesan on top of dishes. ♦ Add toasted nuts to a salad. 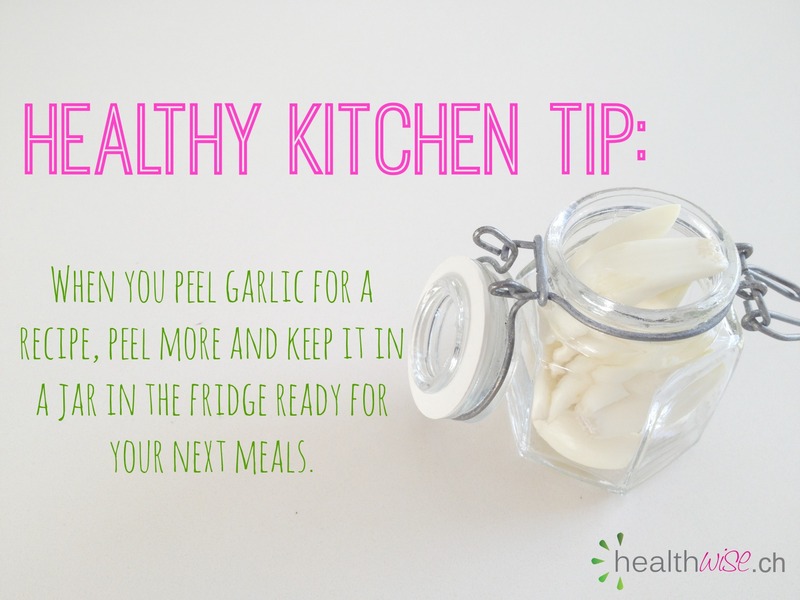 ♦ Garlic is a very umami-friendly flavor and even a small amount — not enough to notice the garlic but enough to add complexity — can give whatever you’re cooking more flavor. ♦ Add this easy to make umami sauce to anything from steamed vegetables to salads. 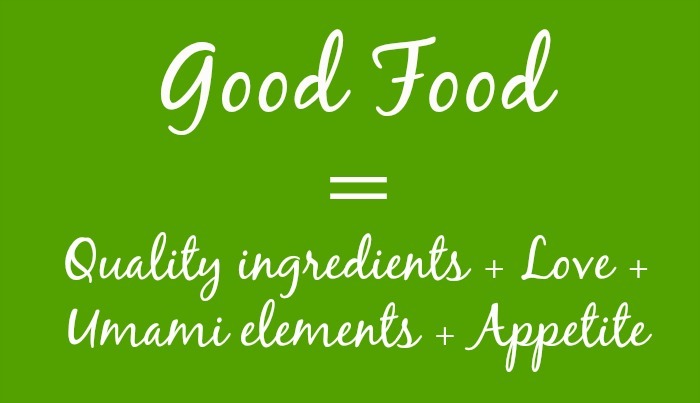 I would love to hear from you, what umami foods do you use to add more flavor to your food?